​Two sessions of 2.5 hours each day, with a 2.5 hour break for lunch in between sessions. 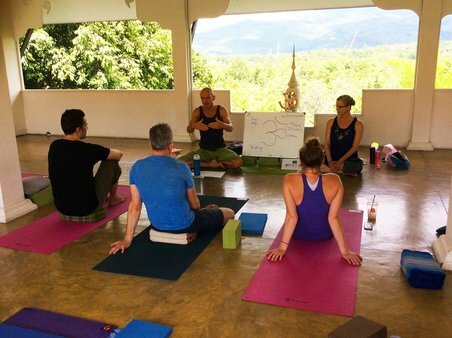 ​Have you been practicing yoga for a while and want to deepen your understanding and strengthen your practice? Perhaps you have been considering a teacher training course (TTC) but don't have the time or don't feel ready? ​​Maybe you are new to yoga and want to dive in and know more? Maybe you have already done a TTC and want to deepen your practice further and dive deeper into Yoga Philosophy. 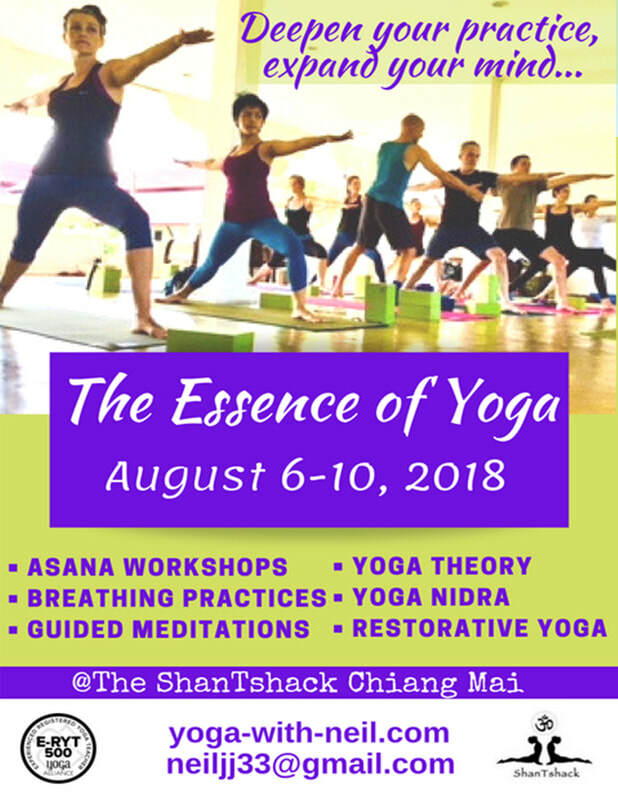 Covering the PHYSICAL PRACTICE OF HATHA YOGA and the ANCIENT PHILOSOPHY OF YOGA - the combination of practice and theory will enable you to appreciate the TRUE ESSENCE OF YOGA, helping you to cultivate a balanced yoga practice, and to integrate this ancient wisdom into your daily life. NO EXPERIENCE IS NECESSARY - just an open, curious mind and a willing body. We will start each day with a 2-2.5 HOUR ASANA PRACTICE – including PRANAYAMA (breathing techniques) and GUIDED MEDITATION. 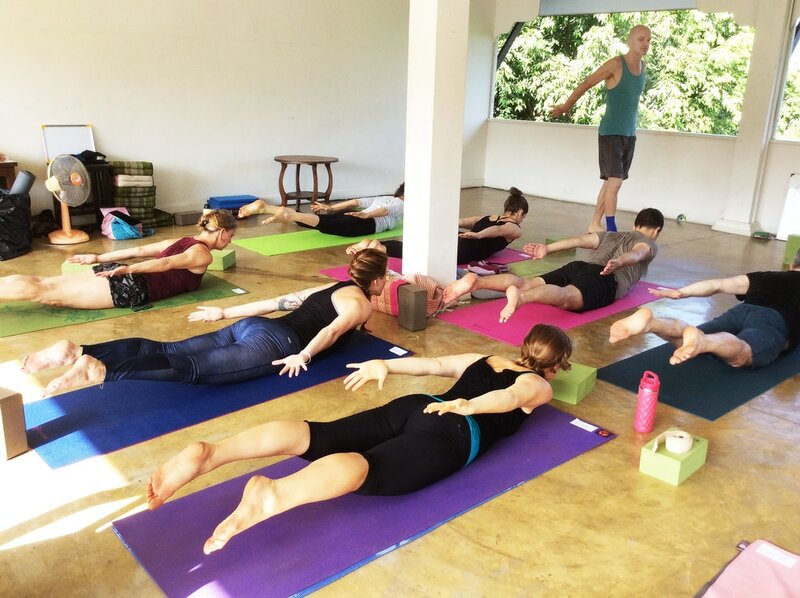 Each class is themed and sequenced to explore different elements of a balanced yoga practice. There will be ample time in each class to focus on KEY POSES, working with partners to understand the pose better and create a safe environment for our physical practice. Day 1 starts with ‘Foundations and alignment' and other themes through the week will include hip and shoulder openers, inversions, core-strengtheners and backbends. THE NATURE OF REALITY: What is ‘enlightenment’ or ‘awakening’? Who am I? What is the meaning of life? HISTORY OF YOGA: From ancient origins to the modern day. THE FOUR PATHS OF YOGA: Examined through the classic text, the Bhagavad Gita. THE ENERGY BODY: We will examine the subtle energy body and practice different breathing techniques to boost energy and create balance in the body. YOGA / MEDITATION IN DAILY LIFE: We will discuss how to integrate these two practices in our daily lives. Basic meditation techniques will be practiced together. We will end every day a little differently. We will enjoy a guided relaxation through YOGA NIDRA. We will release deeper tensions through a gentle RESTORATIVE YOGA practice. We will practice PRANAYAMA to balance the energy in the body and calm the mind. GUIDED MEDITATIONS will help us to calm the mind and relax into our present moment to moment experience.